Delon Hampton, Ph.D., P.E. serves as Chairman of the Board and Chief Executive Officer of Delon Hampton & Associates, Chartered (DHA), a consulting engineering, design, and construction and program management services firm in its 38th year of service to our nation. DHA, one of the top design firms in America, specializes in providing civil, structural, and environmental engineering and construction and program management services to local, state, and federal agencies and the private sector. Dr. Hampton also was actively involved in university teaching and research for approximately 25 years and has published over 40 papers in professional and technical journals. 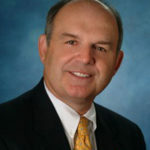 Dr. Hampton is active in professional organizations. He is an Honorary Member, and Past President of the American Society of Civil Engineers (ASCE), and ASCE Past Chair of the Business Member Board of Governors of the American Public Transportation Association (APTA). In addition to professional activities, Dr. Hampton is an active member of several civic organizations. He has served as a Director of the Greater Washington Board of Trade, as a Malcolm Baldrige Award Overseer for the U.S. Department of Commerce, and as a member of the Executive Committee of the Transportation Research Board. Dr. Hampton served as a Director and Treasurer for the Center for National Policy and as a Trustee of the National Building Museum. He has served on the Engineering Department Advisory Committees of six major research universities and he is a member of two major construction industry organizations, the Moles and the Beavers. Dr. Hampton’s honors, among others, include being a former Councilor of the National Academy of Engineering, a Fellow of the American Academy of Arts and Sciences; he has received Honorary Doctorate degrees from Purdue University and the New Jersey Institute of Technology, been selected a Distinguished Engineering Alumnus and Old Master by Purdue University, is a recipient of the Civil Engineering Alumni Association’s Distinguished Alumnus Award and the College of Engineering’s Alumni Award for Distinguished Service from the University of Illinois, and is a recipient of the Edmund Friedman Professional Recognition Award and the James Laurie Prize, both given by the American Society of Civil Engineers. Dr. Hampton is also a Chapter Honor Member of Chi Epsilon, the national civil engineering honor society, and an Eminent Engineer member of Tau Beta Pi, the national engineering honor society. 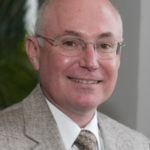 Among his major consulting board assignments include being a member of the Board of Experts who oversaw the restoration of the tunnel that punctured and led to the flooding of downtown Chicago and the Independent Review Committee for the Woodrow Wilson Bridge, that spans from southern Maryland to Washington, DC. Dr. Hampton earned his B.S. degree from the University of Illinois and his M.S. and Ph.D. degrees from Purdue University. Dr. Hampton is a Fellow of the Institution of Engineers, Australia and The Institution of Civil Engineers, U.K.